Gorgeous colored flowers and such a elegant card. Stunning cards. Love those Abundant Petals....it is such a wonderful size and I know I am going to have fun arranging my own bouquets. Thanks for the inspiration this week. Wow! Your first card is absolutely breathtaking! 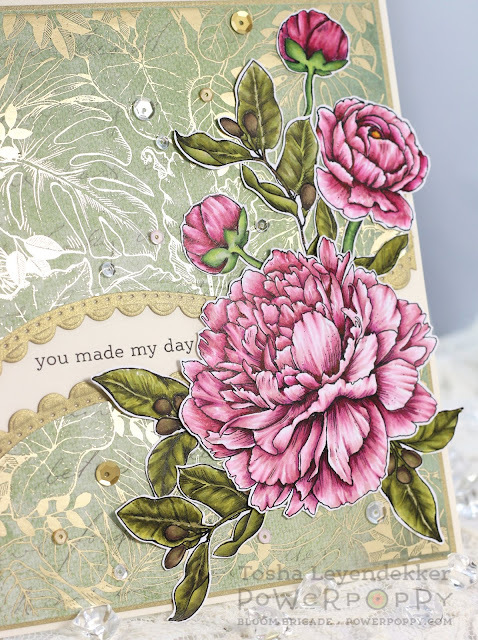 The shimmer, the layout, the beautifully colored flowers.....what a knockout! 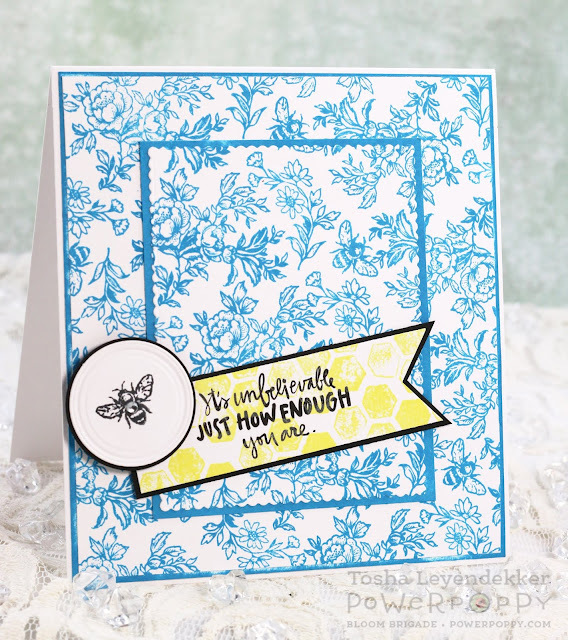 Your second card is just as amazing...I love the blue combined with just a touch of yellow! Simply stunning! Wow! The Abundant Petals are gorgeous! Oh my absolutely stunning!!! 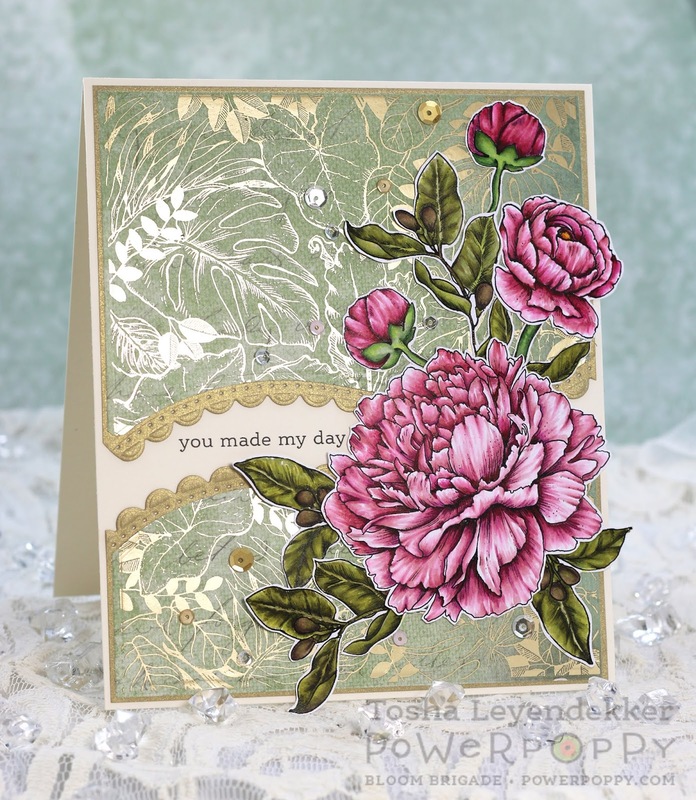 Your design of the card is just lovely and wonderful coloring, it is like a picture...love it all! 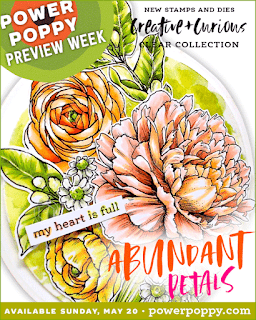 Holy geez... that Abundant Petals card is AH-MAZING! It just blows my mind. It must have taken you forever to color! So striking Tosh! Love the sweet blues of the Bee card too! Such a happy creation! Wow both are so beautiful!! !